Back to auction this month! Lot 263. Photo courtesy of Christie’s Geneva. I was surprised to be scrolling through the Christie’s Geneva online catalog last week and come across a pair of ruby and diamond earrings I immediately recognized—Elizabeth Taylor’s Cartier ear pendants that were a gift to her from husband Mike Todd in the summer of 1957. It’s interesting that they are returning to auction just five and (almost) a half years since they sold in 2011 for $782,500. 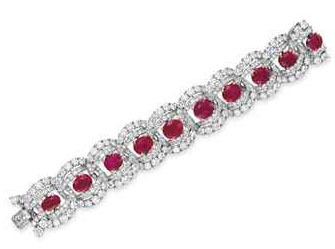 They will be joined on the block by the ruby and diamond bracelet Todd also gave her the same day, which originally sold for $842,500. Lot 264 in the May 17 auction. Photo by Christie’s. Liz receiving them from Mike Todd in 1957. Photo by Eve Johnson. 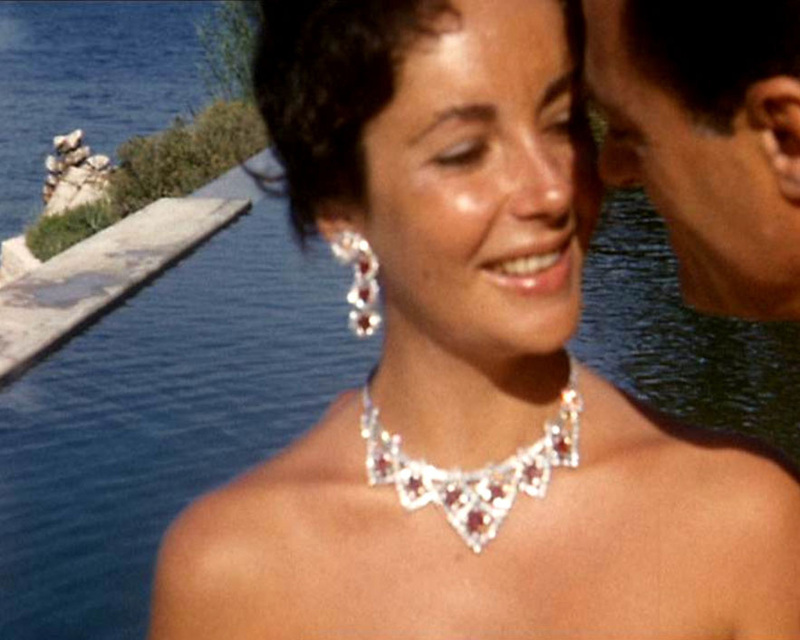 If I had to guess who will bid the highest for them when they go to auction on May 17 I’d say Cartier, so they can put them right in their archives and display them whenever they wish—think of the Bulgari pieces that Liz owned that Bulgari bought back and have exhibited around the world. Cartier already owns the necklace. They may want the complete set Todd gave her that day in August! I know if Cartier buys the earrings there is a chance I can visit with them some day if they go on tour—they were sadly not at Christie’s Rockefeller Plaza when I went to an auction preview recently—but you know who I would love to see buy them? 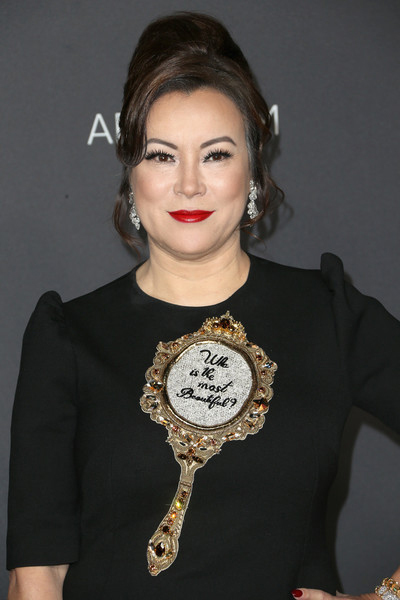 Jennifer Tilly! She’s a huge Liz fan, already owns some of Liz’s jewelry, would truly appreciate them, and they would look amazing on her! I hope she has some money set aside in her jewelry fund to bid on these. It would be so much fun to see her wearing them. Jennifer at an event in LA, October 2016. Photo by Frazer Harrison. I am guessing that the Cartier earrings will go for more than the Van Cleef & Arpels earrings I got to try on last December since they are more recognizable and are a famous part of Liz’s jewelry story. The earrings I tried on originally sold for $338,500 and this past December when they came back to auction they sold for $307,500. It will be interesting to see what happens with the Cartier ear pendants since they are more well-known! 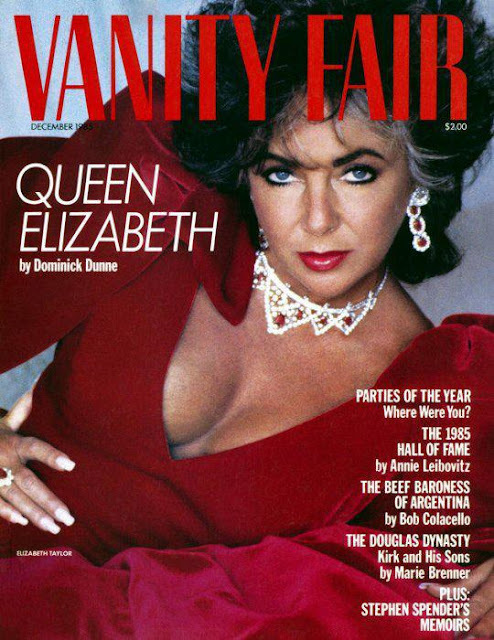 Liz wearing the earrings for Vanity Fair in 1985. 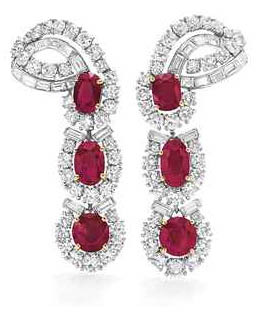 Update: The earrings sold for $640,783 and the bracelet sold for $482,490. The legend of Liz lives on! I'm not sure... Maybe bracelet but I'd have to try them on lol!